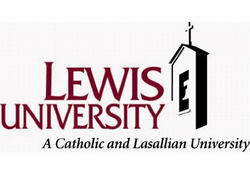 Established in 1932, Lewis University is the largest private university in the Midwest US. The Christian university has been named the best school in the state of Illinois for 6 years in a row by a large number of publications. The student body of the university consists of over 6,500 students while the highly qualified faculty is made up of 200 full-time teachers. The institute is run by the De La Salle Christian Brothers who have over 300 years of experience in the field of education. While the main campus of the university is located in Romeoville, Illinois, the university also has campuses in Hickory Hills, Oak Brook, Shorewood, Tinley Park, Chicago and Albuquerque. Lewis University offers 80 undergraduate and 25 graduate programs in a large number of subjects. The most basic degree available at the school is the certification and diploma programs. These are 6-12 month programs that give basic knowledge in certain subjects to people who are looking to find entry-level jobs. The other type of undergraduate degree offered by Lewis University is the 2 year associate's degree program that is ideal for people who are looking to earn credits for higher education. The university also offers graduate programs like the 3-4 year bachelor's degree program, the 1-2 year master's program and doctoral programs. Lewis University offers a large number of their courses online for people who find it difficult to fit a regular education into their schedules. These distance learning programs allow people to continue with their existing jobs while they receive an education at their own convenience. The online programs include courses in nursing, criminal justice, public safety administration and transportation. More than 85% of the undergraduate students at Lewis University receive some form of financial aid for their studies. These include state and federal loans, grants and scholarships. Lewis University is accredited by The Higher Learning Commission while a number of courses are accredited by their specific accreditation boards.